my light is your light... tells the story of the uncertainty of being. 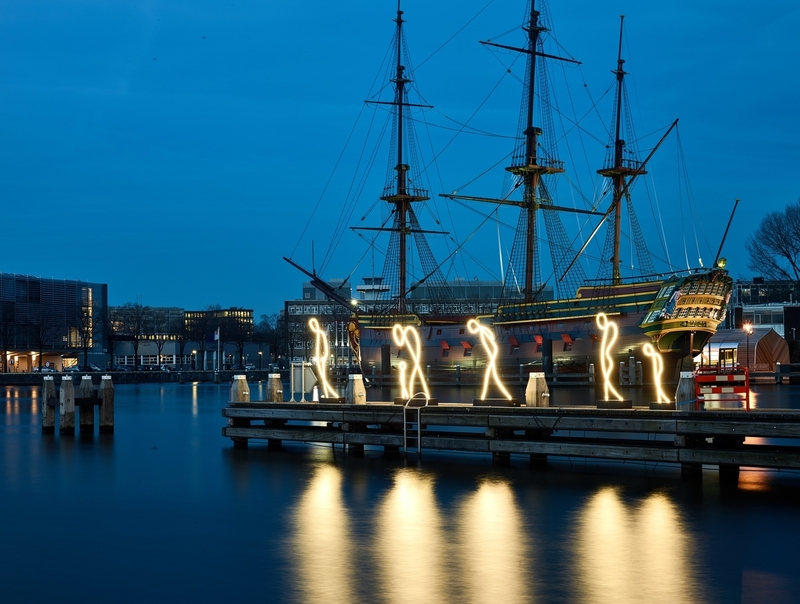 The six life-sized figures made of curved neon tubes stand on a dock as though they have just arrived from far away.They are a family of refugees, conceived by artist alaa minawi (indeed, without capitals). minawi is, like his father and grandfather, a Palestinian refugee living in Lebanon. 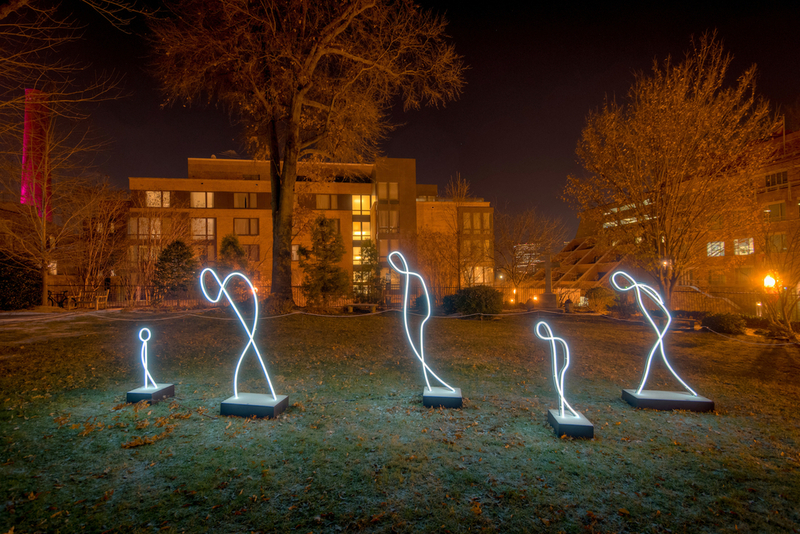 alaa minawi is a visual artist who studied Communication Arts at the Lebanese American University in Beirut, Lebanon. Since 2006 he has worked in film, photography and theatre in both the Arabic world and in the USA. alaa minawi currently works in Lebanon as a lighting designer and writer. Apart from his main occupation, he is an interpreter for Iraqi, Syrian, and Sudanese refugees seeking asylum.